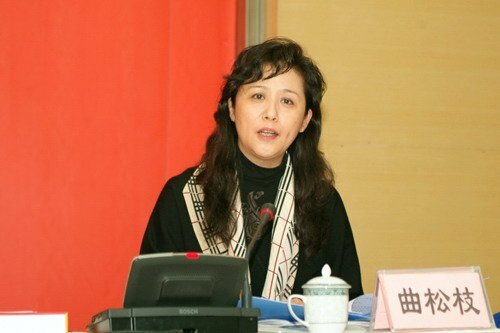 A senior health official and wife of the dismissed deputy Party secretary of southwestern Sichuan Province has been removed from her position at the Chengdu branch of the Red Cross Society of China. An unnamed official with Chengdu Red Cross said Qu Songzhi had not been at work since her husband Li Chuncheng was put under investigation. Li was removed from his positions for suspected "serious discipline violations" only one month after he was also elected a non-voting member of the Chinese Communist Party's central committee during the 18th Party National Congress last November. Li is currently under investigation by the Party's discipline department. Chengdu government officials said Qu was a hospital worker before her husband was appointed Chengdu City Party chief in 2003. She quickly gained several promotions afterwards to become a section chief in the city health bureau. She became Party secretary of Chengdu Red Cross in 2009. On Weibo.com, Shen Yong, who claimed he was a police officer, published six posts about Li, calling him "Li Chaicheng," meaning destroyer of cities. In his online posts, Shen claimed that Li had "bought" his posts, and to recoup his outlay, had created a department and promoted his wife. Li is said to be the most senior official to be investigated for corruption since Xi Jinping became the Party's leader. Xi has launched a campaign against corruption also targeting the petty bureaucracy and infractions of low-ranking officials who are the bane of many people's everyday lives.